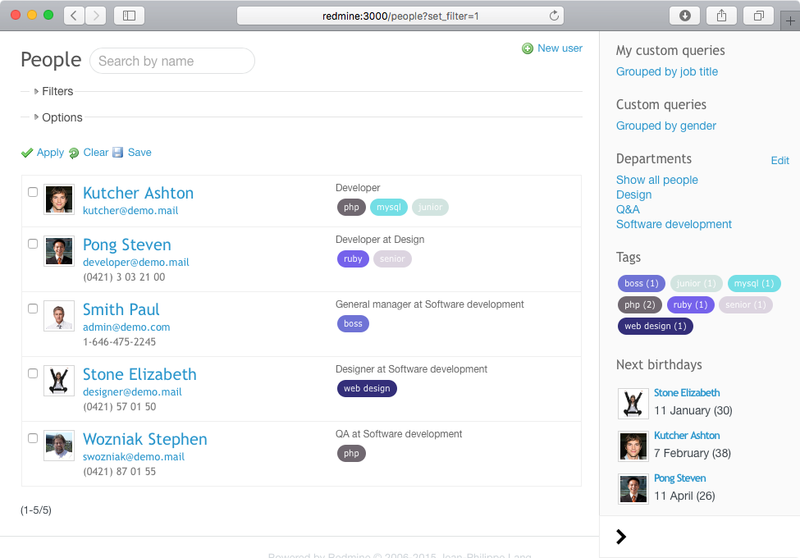 With People plugin, you can group people into as teams and sub-teams, as well as departments. 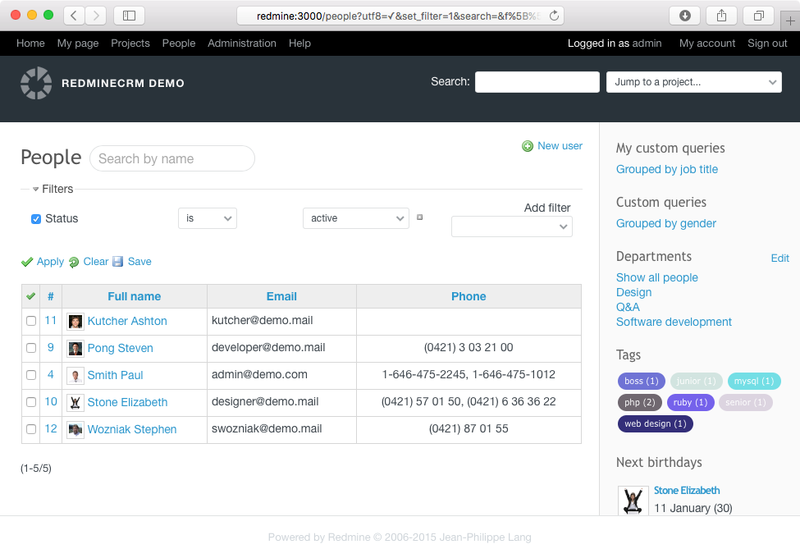 For employees you can add managers, that would have additional rights to control and edit employees data. 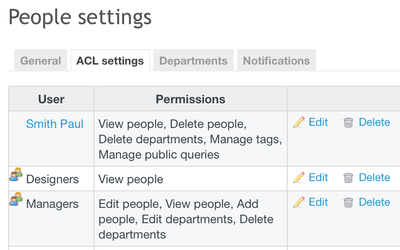 Now you can assign permissions to a certain user, a group of users or to an all department.No more asking the admin to manage simplest HR requests. Our plugin extends standard Users module with a new interface and additional features such as user avatars and birthday reminders (with the function to hide age). 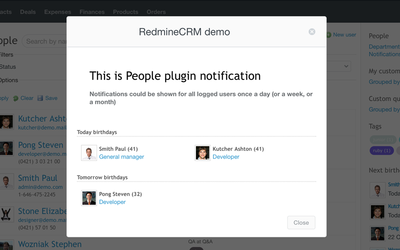 You can set popup notification, reminders or warnings to a particular page, group of users or all company. 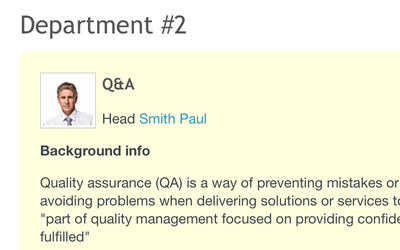 What is more, you can set rules to set up, for example, recurring notifications, or reminders to fill in quarter reports. The calendar shows working days, holidays, and birthdays. You can turn the working days into holidays if they have been shifted. 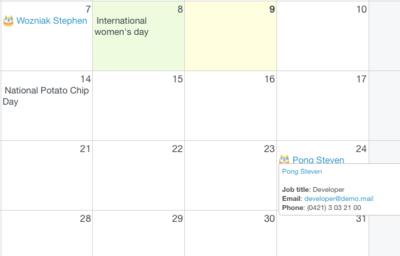 Calendar helps employees to be always up-to-date with current work schedule. 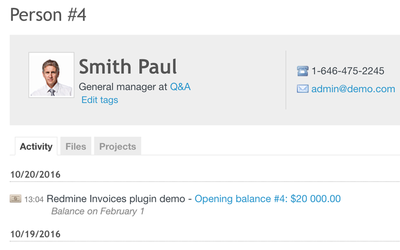 The People plugin allows you to enter internal and external hourly rates for users. Internal rates are used to calculate salary and your costs, while the external to bill your clients. 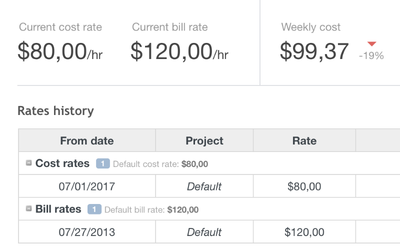 Rates have a start and end date, which can help you adjust them for your projects schedule. 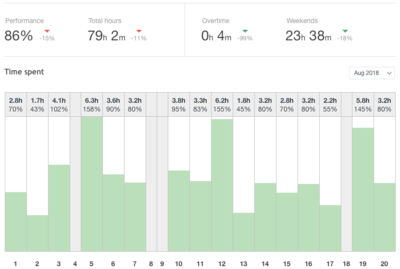 Using the Performance tab you can see how many hours each employee worked per day. It takes into account the length of the Employee's day, holidays and weekends. 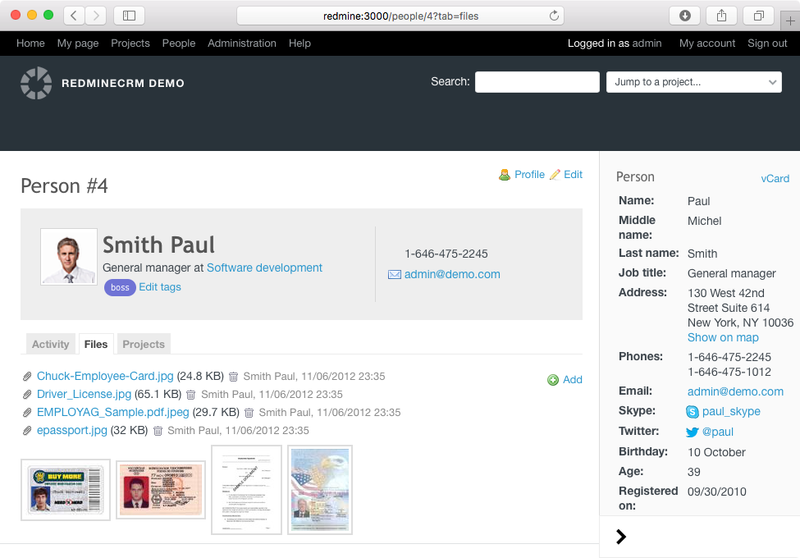 We are using it with CRM plugin, works and is nice addition to redmine. but other functions work well. 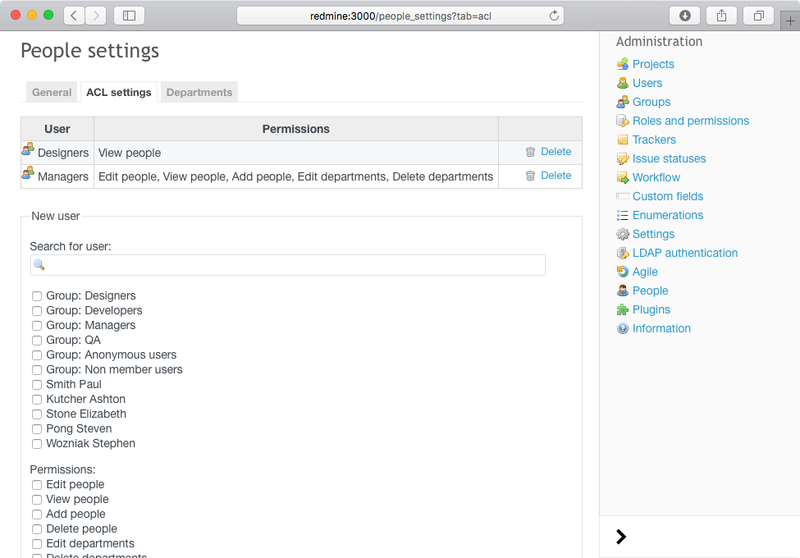 Дайте релиз под Redmine 3.0 ! Хороший и удобный плагин. Хотелось бы релиз под Redmine 3.1 ! After some changes of views - just perfect! Works well! Not perferct, but no bugs detected so far. Views and linking could be improved.